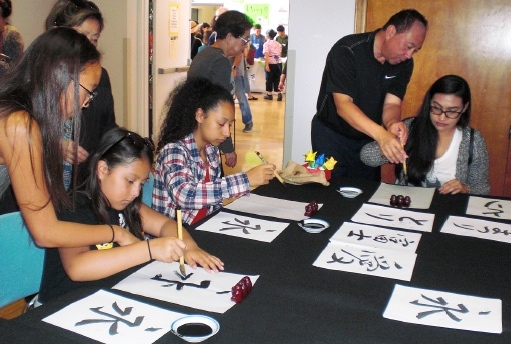 TORRANCE — The Torrance Sister City Association (TSCA) presents its annual Bunka-Sai Japanese Cultural Festival on Saturday and Sunday, April 13-14, from 11 a.m. to 5 p.m. at the Ken Miller Recreation Center, 3341 Torrance Blvd. (at Madrona Avenue) in Torrance. A fun and educational event for families and all ages, Bunka-Sai features authentic demonstrations of Japanese dance, instrumental music, folk singing, taiko drums, calligraphy, origami, and martial arts (kendo, judo, aikido and naginata), ikebana, bonsai and Girls’ Day dolls will be on display. Kids can also enjoy kamishibai storytelling in English and Japanese, plus games and crafts. Japanese sweets (mochi and Okinawa dango doughnut), yakisoba noodles, curry rice, Spam musubi and barbecue plate lunches will be available for purchase. Proceeds from the event benefit TSCA’s student cultural exchange program, which sends up to eight students and an adult leader from Torrance to Kashiwa, Chiba Prefecture for three weeks in July. TSCA will host eight Kashiwa students and an adult leader during August. TSCA is a nonprofit, community-based, volunteer organization dedicated to promoting goodwill and friendship between the people of Torrance and Kashiwa. This year TSCA celebrates the 45th anniversary of its sister-city relationship. Free admission and free parking. For more information, go to www.torrancesistercity.org. 1:10 p.m.: Taiko Center of L.A.